MacDonald Highlands is one of the most sought after property locations in the Las Vegas valley. It is far enough removed that you can feel the relaxing effects of not being surrounded by city life but it’s not so far out that you’re unable to enjoy the wonder of the city. No matter your personality, MacDonald Highlands has something great to offer you. 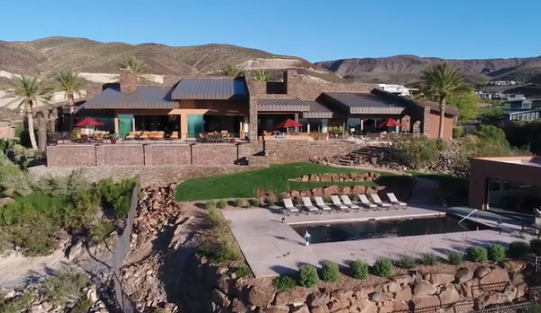 Owning your dream home in MacDonald Highlands allows you the privacy and luxury you need as well as giving you some of the best panoramic views of the Las Vegas Valley. MacDonald Highlands sits atop 1,200 acres of land just outside the Las Vegas Valley in Henderson. The development space sitting on the edge of the mountain range is 2,700 feet over the valley and is a guard gated community. Owning a home in this area gives you access to a number of privileges and panoramic views. Take your kids to one of the many private parks spanning a total of 10 acres of green grass and play areas. There’s also tennis, volleyball and basketball courts that are never overcrowded. Take a scenic stroll through the area along one of the walking paths and explore the area while feeling safe and secure. If you prefer to stride at a faster pace, head out on our jogging trails that cover over five miles of space. Each property has a panoramic view of the valley giving you the best seats in town when the strip performs one of its magnificent firework shows during holidays. Enjoy the world famous DragonRidge Country Club Course and luscious green scenery that expands over the 18 holes. MacDonald Highlands presents breathtaking views of the city. We pride ourselves on the panoramic views and the amenities offered to the people who call this place home. To learn more about “Life at the Top” in MacDonald Highlands visit our website or call 702-614-9100.